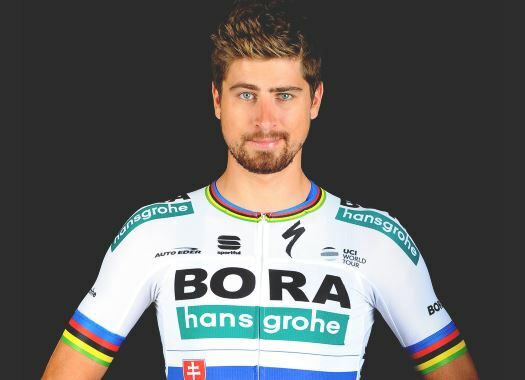 Bora-hansgrohe's Peter Sagan has taken the second position on the fourth day of the Vuelta a San Juan. The Slovak champion was close to the victory but Fernando Gaviria crossed the finish line first. It has been the hardest day of the 2019 edition of the Argentinian race, with one third-category and two first-category climbs on the menu. Despite the climbs, the peloton managed to stay together and catch the escapees with a bit more of two kilometres to go. Peter Sagan managed to stay in a good position ahead of the last kilometre and despite being behind in the last metres, almost could take the victory of the stage. But Fernando Gaviria and his team UAE Team Emirates did once again a good job and the Colombian crossed the finish line just ahead of the Slovak champion. "We had another long stage at the Vuelta a San Juan and it was a bit warmer than forecast," Sagan said at the end of the day. "The stage played out as expected, with a fast bunch sprint to the finish. "We worked well in the last kilometres and after the last turn, I got into the final straight in the front. I had the legs today, I went at full speed but it wasn't enough and I missed the victory at the finish line."